∼ 2013 ∼ November ∼ 24 ∼ Clarisonic Mia! A few months ago, I was home in Buffalo for a family reunion. The reunion was a few hours away in PA where a lot of my family is from including my grandparents whose house we stayed at with my cousins, Angela and Amy. They are both wonderful and amazing and such inspirational women in my life. Angela (Amy’s mom) and I have similar interests and often discuss beauty and skin care products. This time, she introduced me to the holy grail of beauty gadgets. 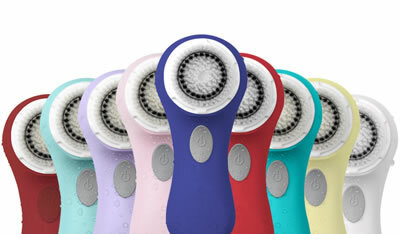 The Clarisonic Mia! This pulsating brush is designed to give your face a deep cleaning resulting in the softest skin imaginable. It is said to remove makeup six times better than traditional methods. It also helps skin care products absorb which is so important when you are using quality products. for 3 months now and have seen a world of difference in my skin. It is baby soft, clean and clear. I highly recommend it to everyone and anyone. It’s well worth the price! Sold at Sephora, Macy’s and where Clarisonic products are sold.